My trip to Rugby, North Dakota was planned to give me some time to take a longer route to avoid the traffic in Chicago, Milwaukee, and Minneapolis. Beyond that, I wanted to see some new places and take some photos along the way. I am now in Rugby after several days of doing just that, so I have some catching up to do. After Iowa City, I went to Sioux Falls, South Dakota. The drive took me north to Minnesota and then west along Route 90 to Sioux Falls. 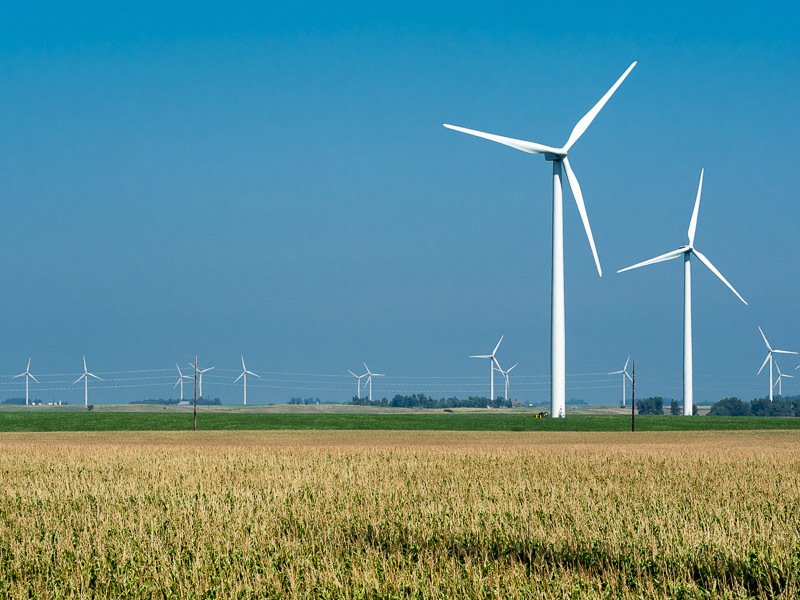 Aside from a lot of corn, I saw many wind turbines to catch the solid southerly breezes. When you grow this much corn (or anything) you need something to collect it and store it in. 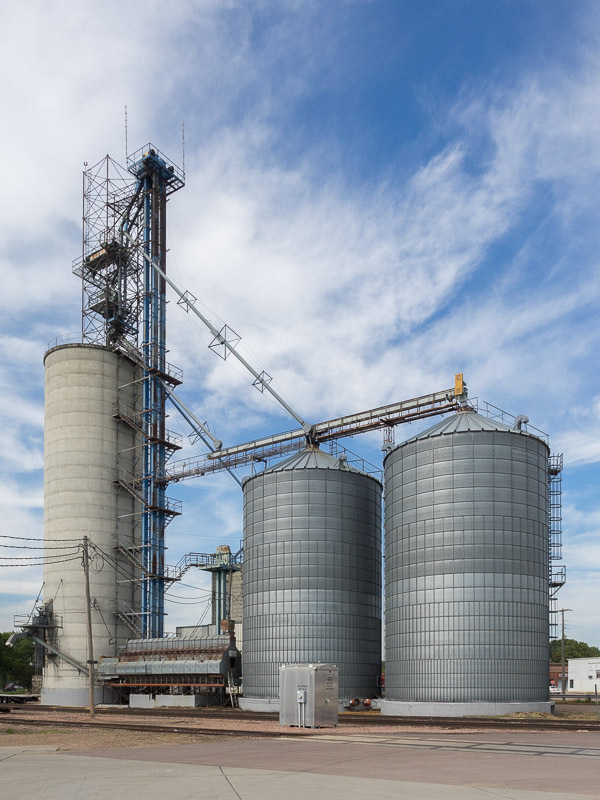 Grain elevators and storage facilities come in a wide range of shapes and sizes. Stay tuned as the blog catches up with me. ~ by Admin2 on September 5, 2015.